Tencent WeChat already started to advance into the oversea market from last autumn, and they already have gotten the constant popularity in some southeast Asian countries. And today, I would like to introduce the popularization map of WeChat that was reported by Value2020. Actually, this map is not based on the number of their users, it is based on the condition that include apps ranking and the diffusion rate of smartphone in each countries. But I think that this map is suitable to understand the current situation of WeChat spreading. 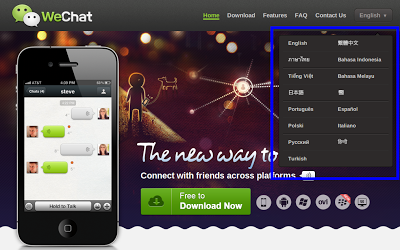 WeChat already be welcomed some Asian countries in addition to China. And according to this map, WeChat is especially welcomed in India, Thailand and Malaysia. 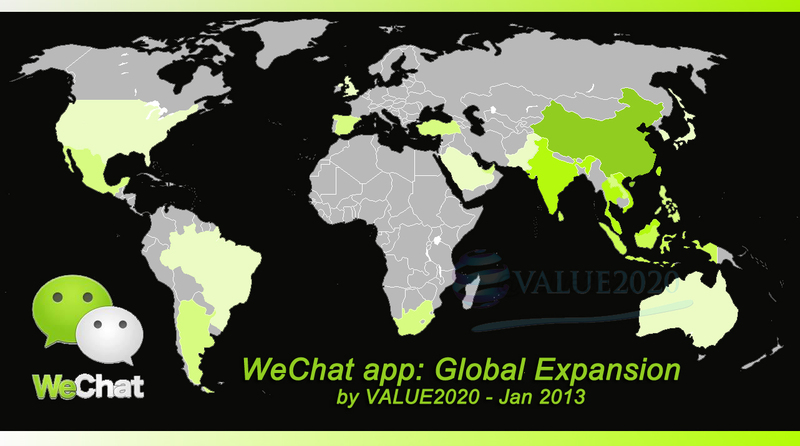 About the place except Asia, WeChat is welcomed in Mexico, Argentina, England, Spain, South Africa and so forth. WeChat precede to Sina Weibo in the internationalization area at this moment, but the rival of them LINE and KakaoTalk also already started to be welcomed in some of southeast asia. For the future developments, it's not only needed the language localization, but also is needed the localization of culture, habit, design and so forth. I would like to keep watching their activity as ever.